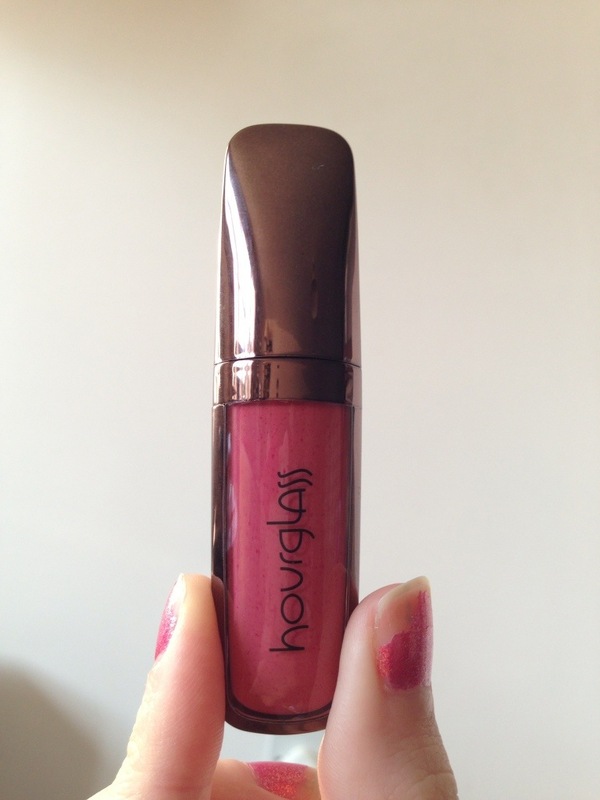 Review: Hourglass Opaque Rouge Liquid Lipstick in Rose | Becky Alyssa's Beauty Box. It seems almost impossible to find a lip colour that I don’t have to keep constantly worrying about reapplying. As much as I love my Revlon lip butters and MAC Cremesheen formulas, I don’t always reach for them in the morning since I don’t want to spend my entire day thinking about my lip colour creasing or rubbing off unattractively. I’d heard about Hourglass products online and wanted to treat myself to a high-end lip product (or three) to enjoy at home – as great as drugstore products are, it’s fun to indulge when you have the chance! Like all of the Liquid Lipstick shades, Rose is wonderfully opaque and pigmented as well as one of the most wearable colours. 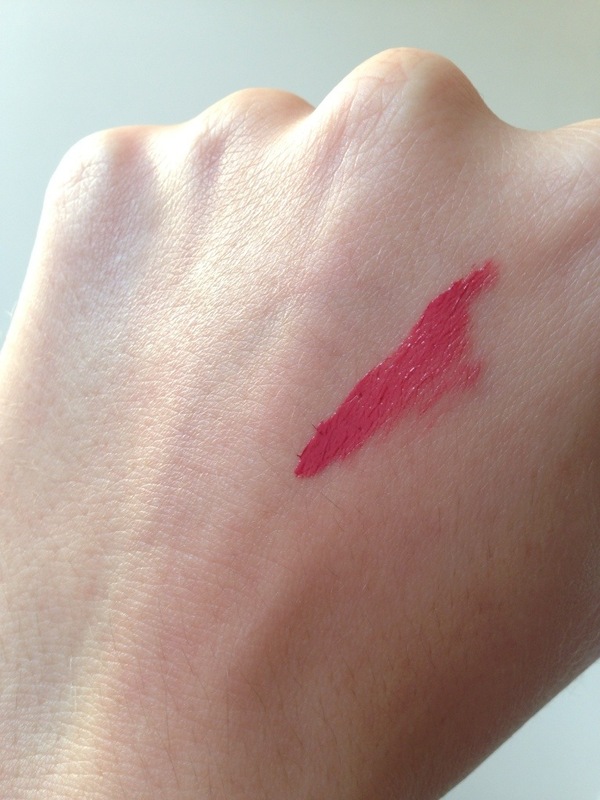 The online swatches are so deceiving – this is a gorgeous bright pink-red, not a natural pale pink like they suggest, so be aware of this if you’re buying from a website. The doe foot applicator allows the creamy liquid to be applied like a gloss – this makes it difficult to be precise, but the liquid form is easily corrected whilst wet. It takes up to 2 minutes for the wet glossy formula to dry into a soft matte stain which stays put for up to 7-8 hours – even through food and drink! It is virtually smudge-proof (you have to try ridiculously hard to even smudge this in the slightest..and even then it hardly moves) and holds up incredibly well during a busy day and I never seem to have to reapply. On top of that, I’m a big fan of the sleek, gorgeous packaging and the tiny size makes it ideal for travel. My only complaints? A slightly skinnier applicator would make it easy to apply this hard-wearing product a little more precisely to avoid any awkward mistakes. And the price is a little steep for such a tiny tube! As much as I’d love to try out the other shades, lip products this expensive are a rare indulgence for me. Unless they ever bring out a mini sampler set, this is the only shade of this product I’ll be buying for a long time. I’m so pleased I bought this gorgeous colour – it’s such a wearable shade and stays put through even the busiest days. I’m not into all of the darker A/W berry shades so I’ll definitely be wearing this a lot over the next few months. Have you tried this before? Any opinions – love or hate it?